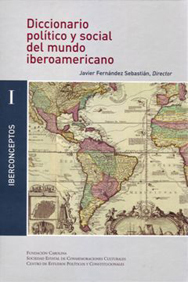 The main objective of the Ibero-American Conceptual History Project, better known as IBERCONCEPTOS, is to study in a systematic and long-term manner, and from a comparative perspective, the most important concepts, languages, vocabularies, discourses and political metaphors in circulation in the Ibero-American world during recent centuries. Our work focusses in particular upon that critical phase of transition towards modernity which stretches from the latter decades of the 18th century well into the 19th century, a period which coincides, and not by chance, with the crucial phase of liberal revolutions and independence. As well as developing our research project and publishing a book series, Iberconceptos seeks to establish a training program for researchers into conceptual history. This objective would involve the preparation in Spain, Portugal and Latin America of a team of scholars specialized in the critical analysis of politics from a historico-linguistic viewpoint. The origins of the network of researchers working together on this major inter-university project date back to July 2004, when a small group of Spanish- and Portuguese-speaking European and Latin American academics, taking advantage of a wider meeting held in Rio de Janeiro (the VII Conference of the History of Political and Social Concepts Group-HPSCG), discussed the foundations of the project. Since then, we have made considerable progress. There are currently almost a hundred researchers collaborating on Iberconceptos, belonging to around thirty universities from many countries in the region, including Argentina, Brazil, Chile, Colombia, Spain, Mexico, Peru, Portugal, Uruguay, Venezuela, and various countries from the Caribbean and Central America, as well as other researchers attached to different French, German and North American universities. Our Project proposes a new transnational approach to the history of the vocabularies of politics, via a melting pot of fields, territories and disciplines. 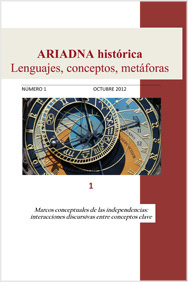 Taking as a starting point several valuable studies based upon the history of language and lexicography, and benefitting from the contributions of historians of society, politics and culture, our mid-term aim is the publication of a Diccionario histórico iberoamericano de conceptos sociales y políticos in several volumes. This work would fulfill its wider purpose in the broader context of an Atlantic history. A Euro-American politico-intellectual history which in the future might form, along with other regional histories corresponding to other great interrelated geocultural zones, a “global”, or, perhaps, genuinely “universal” history.